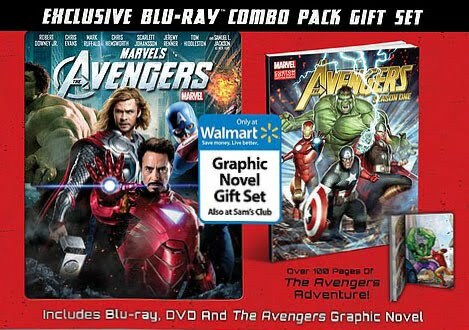 Avengers fans might want to pick up this exclusive Wal-Mart AVENGERS Bluray/DVD/Digital bundle. It comes with a bonus AVENGERS: SEASON ONE TPB. From the tiny description, it's not just a flimsy comic, this is 100 pages mini-trade. I wasn't going to buy the movie considering that I didn't like it when I saw it in theaters, but this free trade might push me to pick it up when it comes out September 25th.